When Ryan reviewed the Google OnHub back in September of last year, one of his major complaints about the router's usage was the inability to rename devices, which created a messed up soup of unnamed and/or vaguely named devices in your list of connected hardware. That's about to change with the new update to Google On, the OnHub's companion Android app, which adds the ability to give custom names to all of your devices so you can tell which Samsung phone is which and what that no-name computer is. That should make it easier to monitor their activity and prioritize their usage. 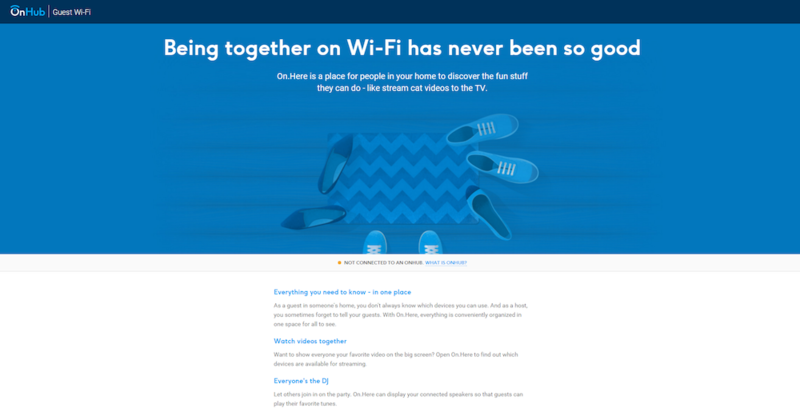 The other major feature being added to Google On and the OnHub is a Guest Wi-Fi network with data sharing between devices. However, even if you have the latest version of the app "jetstream-BV10051_RC0004," you may not be able to make use of Guest Wi-Fi until your OnHub router updates its firmware to version 7647.72.0 (it's not live on 7390.62.9). This guest network can, and should, be given a different name and password from your regular Wi-Fi. 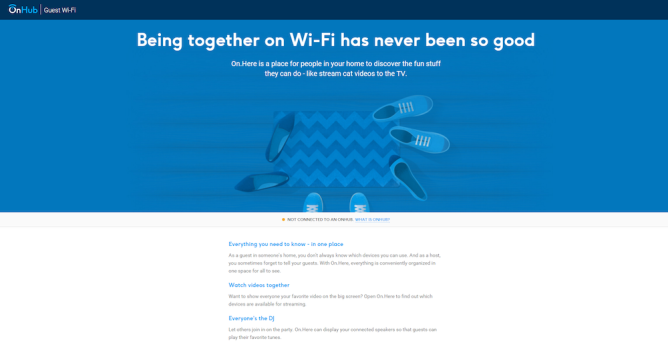 It lets you give access to your network to guests and share devices on the network. Once set up, you'll be able to specify which connected devices are available to guests — think Chromecasts, smart TVs, printers, wireless speakers, and various TV boxes. After they connect to the Wi-Fi, guests can head to on.here to see available devices and have access to shared media files and different hardware they can stream to or from, or use in any other way. 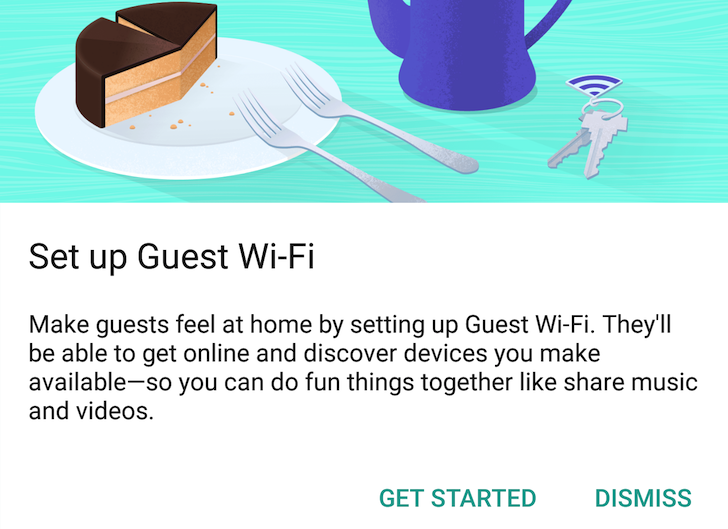 The Google On app update seems to be live in the Play Store for everyone, but remember that you'll need to wait for your OnHub to update its firmware for the Guest Wi-Fi functionality to work.